Jay-Z performed his Linkin Park collaboration track – Numb/Encore – for what he said was the ‘first time’ since Chester Bennington’s death. The rapper also spoke to BBC Radio One presenter, Clara Amfo, as part of the station’s Live Lounge month, where he discussed the importance of being open about mental health. Jay-Z and Linkin Park famously worked together on their collaborative album, Collision Course, which was released in November, 2004. Linkin Park’s lead singer, Chester, was found dead at his LA home on July 20 after taking his own life. 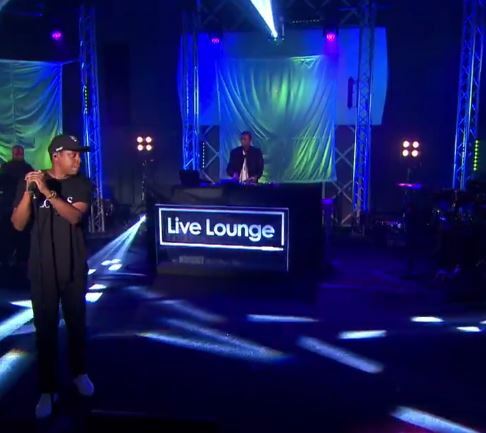 In tribute, Jay-Z took to the Live Lounge to perform one of the tracks on Collision Course, Numb/Encore. After the performance, Jay-Z said it had felt ‘special’ to him because it was the first time he’d performed it since Chester died in July. That felt really special to me. That’s the first time I’ve performed that song after Chester passed away, which is super tragic. I really think that hopefully his death serves as a wake up call, you know, mental health is a real thing. You never know what people are going through. And you think because they’re performers and he sold 14 thousand, million, records, that doesn’t equate to happiness. Money or fame, that doesn’t mean anything if you’re not happy inside. "Mental health is a real thing, you never know what people are going through." Jay-Z also explained how a lot of people, especially performers ‘don’t deal’ with their mental health issues and instead focus on their careers. A lot of people, we go and we don’t deal with what’s happening to us, we just keep going, especially for a performer like that, you just start numbing yourself, you become numb. He’s singing it. He’s telling you, you become numb. You just go and get bigger audiences and things like that and you move further away from yourself. It’s tragic, I knew him really well, he was a really nice person.